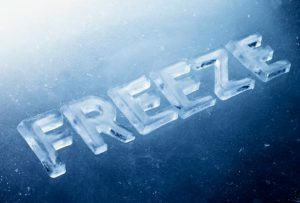 Let AMTR Protect You from Erroneous Freeze Protect Fees - American Truck & Rail Audits, Inc.
As cooler weather approaches, shippers of temperature-sensitive products will have to decide which commodities will need to be protected, how to get it accomplished and when. Most trucking companies offer services designed to keep materials from freezing by utilizing warm rooms, sheltered areas, heated trailers and insulating materials. However, ensuring that the shipment qualifies for the service, that the request was made in the accepted manner and that it has been billed properly can all be tricky. Carriers typically offer freeze protect service beginning in October and ending in April. They may disqualify certain shipments from eligibility or will have very specific guidelines on how the service must be requested in order to qualify for the protection. However, do not assume that because it has been specifically requested on the bill of lading, that the service is being performed. If the service is not requested as per the carrier’s guidelines, protection services may not be performed and shippers could face unintentional consequences when a product does freeze and a filed claim is denied. Don’t be left out in the cold—let AMTR’s ‘Smart’ auditors review your freight invoices.